Edited by JasonJ, 18 August 2017 - 1149 AM. Exercise Talisman Sabre 2017 - Primarily Australia and the US, but also New Zealand, Japan, and Canada. HOKKAIDO, Japan -- For the first time, more than 2,000 U.S. Marines joined with approximately 1,500 service members with the Japan Self-Defense Force to support the first iteration of Exercise Northern Viper 2017, at Misawa Air Base and the island of Hokkaido, Japan, August 10-28, 2017. 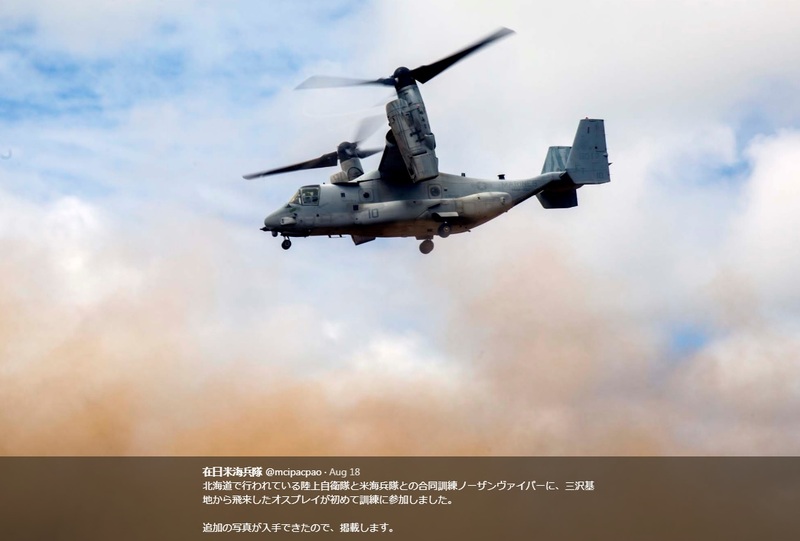 Northern Viper, an annual joint contingency exercise, tests the interoperability and bilateral capability of the JSDF and U.S. Marine Corps forces to work together across a variety of areas including peacekeeping operations, humanitarian assistance and disaster relief. 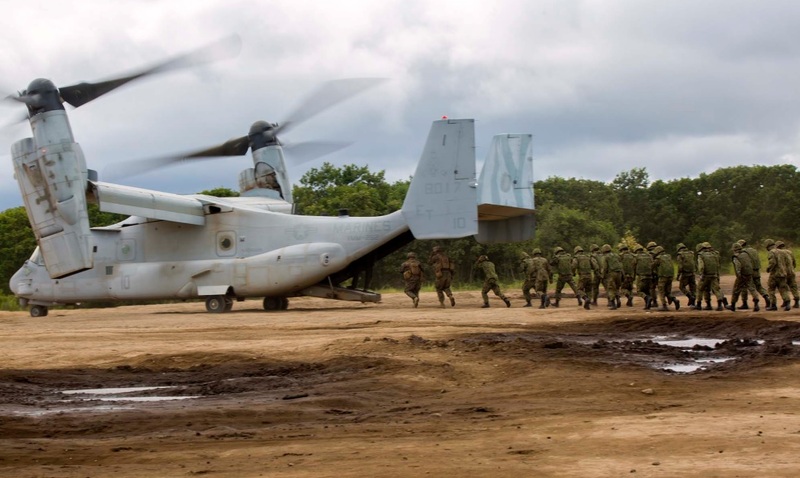 This exercise enhances and improves interoperability at the tactical level between the Marines and JSDF to keep the forces formidable and adaptive. 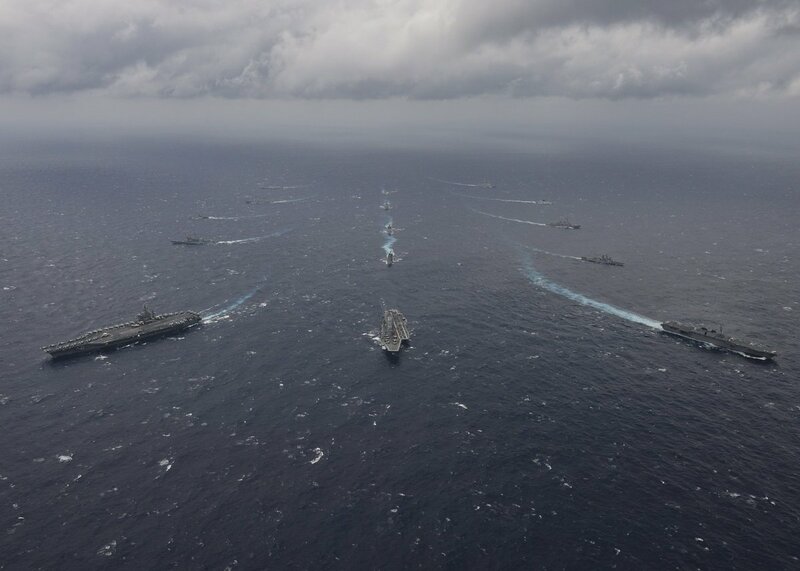 NV17 showcases a highly-capable, forward-deployed U.S. military presence positioned with their Japanese partners to directly support the security of the Indo-Asia- Pacific region. 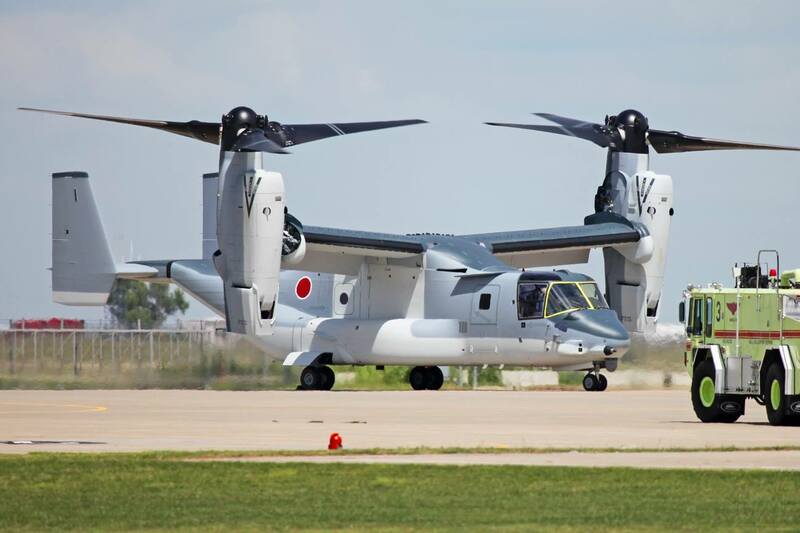 U.S. Marines with Marine Aircraft Group 36, 1st Marine Aircraft Wing will provide direct aerial support to the Marines of 3rd Marine Division and JSDF with a variety of aircraft. According to Landblom, the squadrons attached to 1st MAW will conduct various training operations, such as assault support missions, simulated offensive air support and simulated casualty evacuations in Hokkaido. 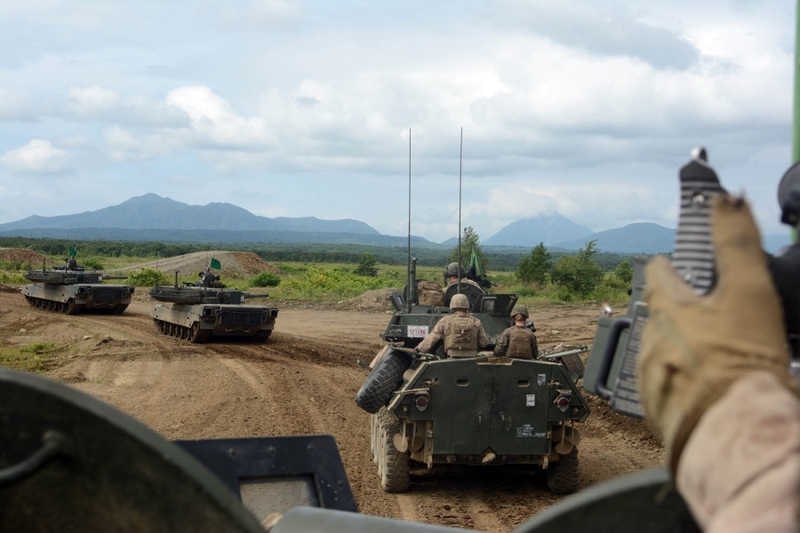 During the exercise, 3rd Marine Division mission will be on Hokkaido as the bilateral partner with JSDF’s Northern Army 11th Brigade, said Landblom. 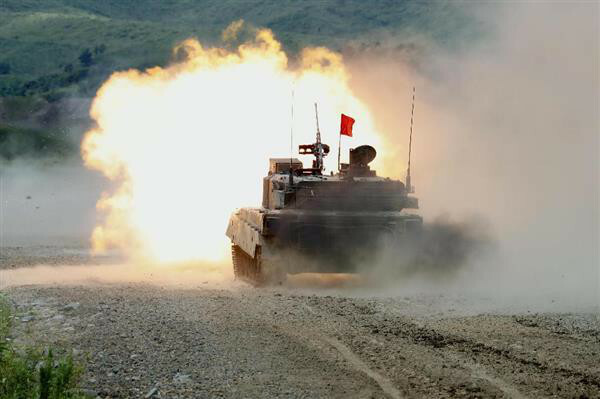 Designed to integrate the U.S. Marine Corps with the JSDF, Northern Viper allows Marines to identify their weaknesses in order to avoid them in the future, making this exercise a valuable asset to maintaining readiness in the Indo-Asia-Pacific region. 2 B-1Bs from Guam, 2 F-15Js from Nyutabaru, and 4 F-35Bs from Iwakuni in Kyushu air space. 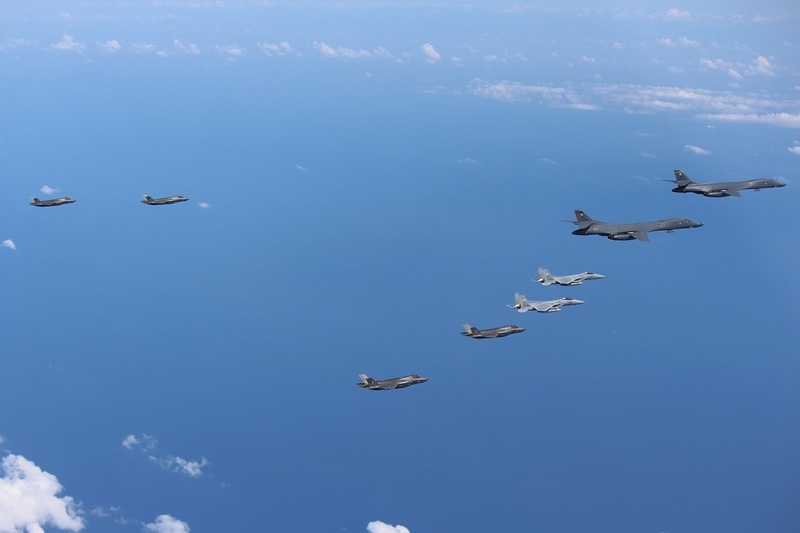 Is said that the 2 B1s and 4 F-35Bs continued to ROK to do Joint-training over there. 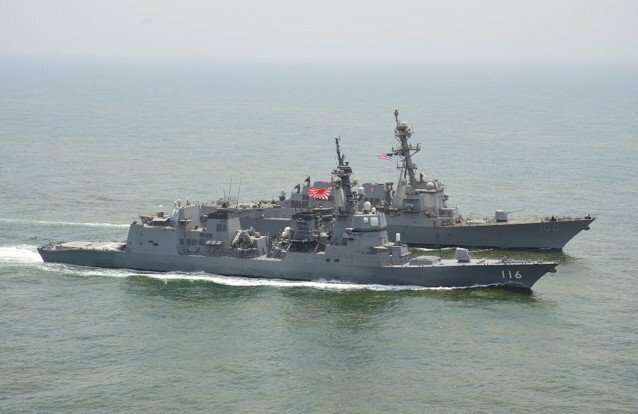 JS Teruzuki and INS Tabar in the Gulf of Aden on July 30th. 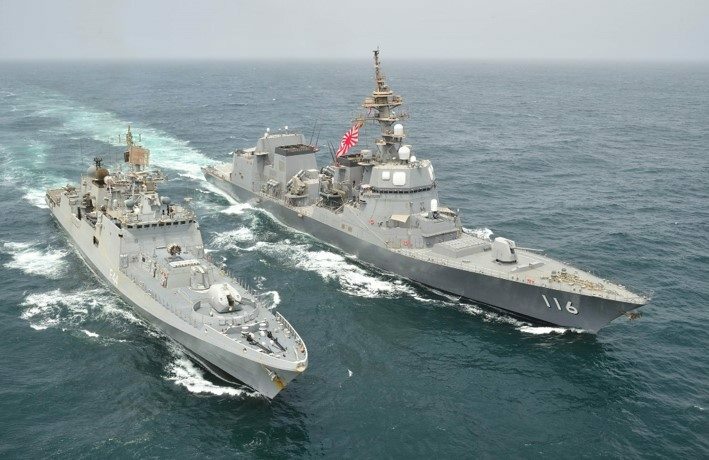 JS Teruzuki and USS Kidd in the Gulf of Aden on September 1st. 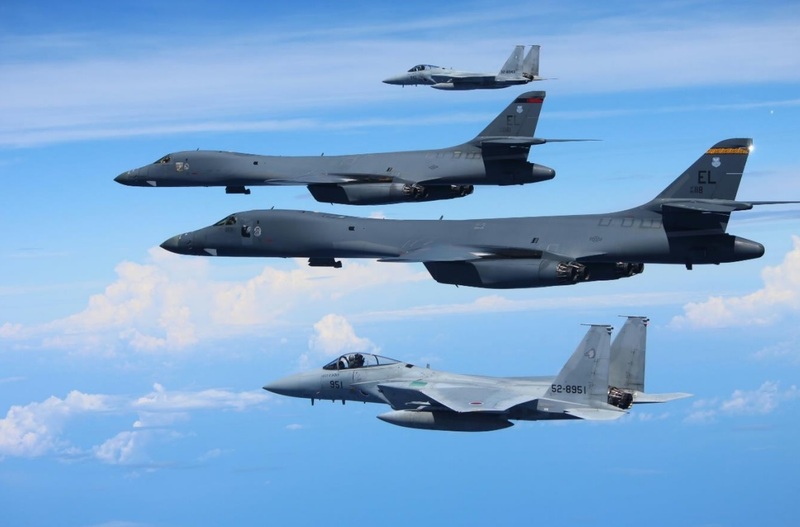 Two B-1Bs and two F-15Js over the East China Sea on September 9th. Afterwards, one of the bombers returned to Guam like usual while the other one went to Misawa Air Base for an upcoming air show. Indonesia continues to order small batches of amphibious vehicles, the latest being from Italy, called the M113 Arisgator. The Indonesian National Armed Forces have taken delivery of its first five M113 Arisgator amphibious armored personnel carriers from Italy. According to the ARC, еhe first five amphibious armoured personnel carriers were delivered on board a transport aircraft of Singapore Airlines. The Arisgator is an amphibious version of fully tracked armored personnel carrier developed by the Italian company of ARIS SpA (Applicazioni Rielaborazioni Impianti Speciali). The M113 Arisgator is a light and reliable amphibious vehicle capable of performing several tasks at very low costs. To improve the amphibious characteristics of the M113 a special oceanic kit has been developed by ARIS, which enables the vehicle to operate safely in ship-to-shore operations as well as rivers. This kit weighs between 1,350 and 1,700 kg including bow, roof and stern units, all of which are made of light alloy as is the basic M113 series hull. The Arisgator can carry eight fully equipped troops and can also be fitted with various external weapon stations. This is actually a well thought out upgrade, though Indonesia should be advised that any correspondence they receive calling their platoon of upgraded BTR-4s "EIGHT WHEELED DEATH TRAPS!!" and demanding that they be replaced with Arisgators is not from anyone working for ARIS, its just from an American nutbar. 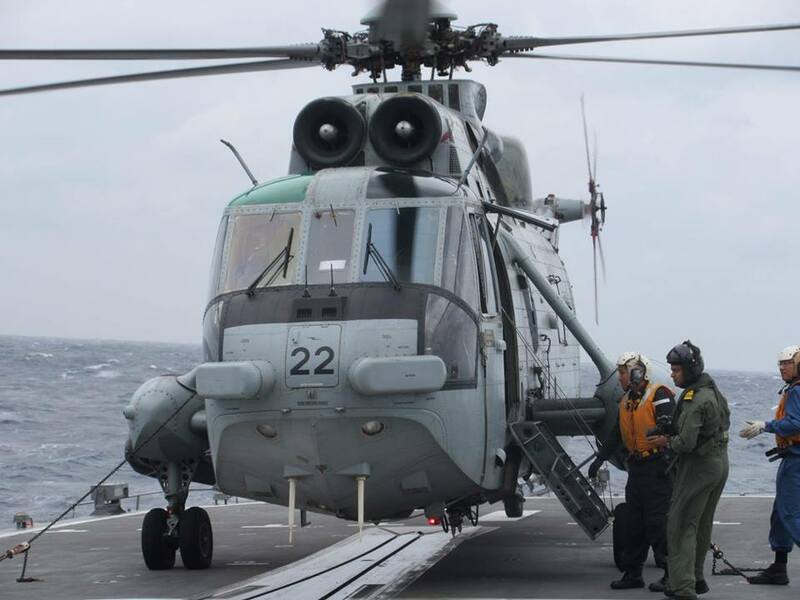 A JMSDF P-3C from Fleet Air Wing 5 trained in search and rescue with two patrol ships of the Philippines Navy on September 13th and 14th in the waters around Palawan island (both the South China Sea and Sulu Sea). 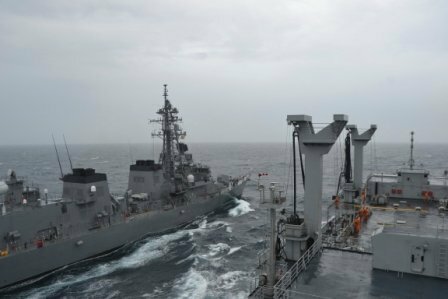 JS Teruzuki and INS Sunayna in the Indian Ocena on September 11th. They trained in tactical maneuvers and communication. Philippines Air Force personnel receiving maintenance training for C-130 from US personnel at Yokota Air Base for first time. Philippine Air Force personnel together with United States Air Force personnel undergone a training course on maintenance of Lockheed C-130 Hercules military transport aircraft last week at Yokota Air Base, Japan. The training course was led by the US Air Force 373rd Training Squadron Detachment 15. September 18th in Kyushu airspace, 2 B-1B bombers from Guam, 4 F-35Bs from Iwakuni, and 4 F-2s from Tsuiki. The US aircraft continued to the Korean Peninsula. Edited by JasonJ, 18 September 2017 - 1137 AM. Six Australian naval ships moving near or into the SCS for exercises. The Turnbull government has boldly forged ahead with long-held plans to send six Navy ships to conduct a series of military exercises in the Indo-Pacific region, in the biggest task-group deployment in more than 30 years. The move that has already triggered criticism from China in its media outlets. It comes at a time when Prime Minister Malcolm Turnbull has been vocal in calling for China to use its leverage to try to stop North Korea’s continuing ballistic missile tests. The Daily Telegraph understands there have been recent high-level discussions by senior ministers and department heads about Australia’s strategic options in the western pacific and what our stance should be in dealing with the South China Sea territorial disputes. The meetings have not discussed the specifics of any particular naval deployment, including the current one, but have dealt with our strategy in the region. A final decision has not been made about the transit routes of the six naval ships carrying 1200 Australian Defence Force personnel, which left Australia on September 4 for two months. Canberra-class assault ship HMAS Adelaide is leading the deployment, which also includes HMAS Melbourne, HMAS Darwin, HMAS Toowoomba, HMAS Parramatta and HMAS Sirius. 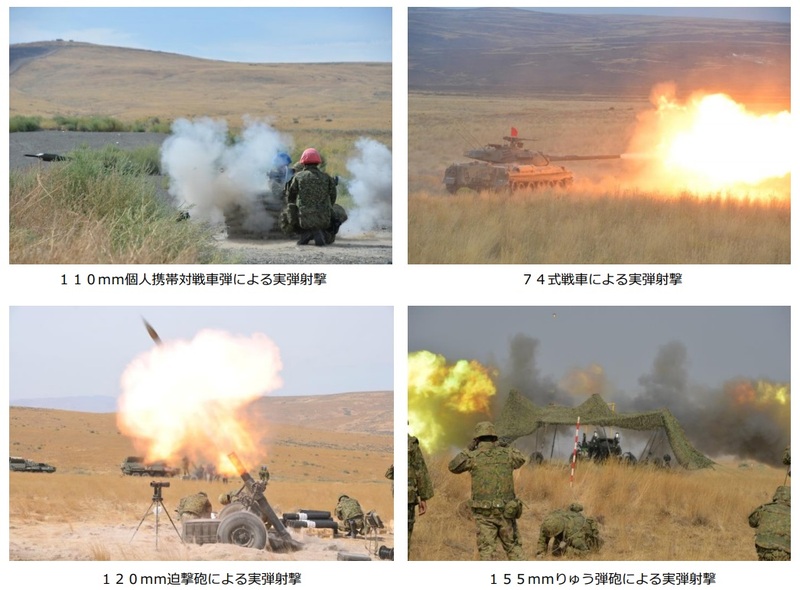 Exercise Rising Thunder 2017 at Yakima, Washington State from September 5th to September 22nd. 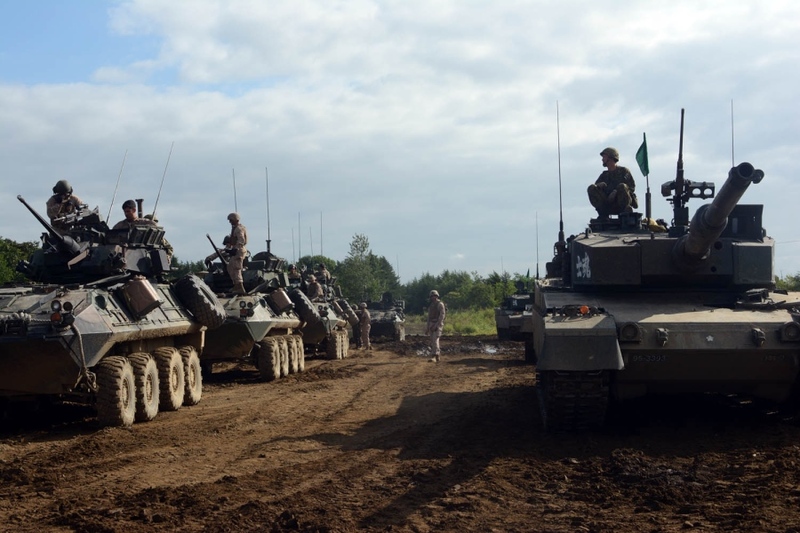 The 20th Infantry Regiment, 6th Division from the JGSDF training US forces. 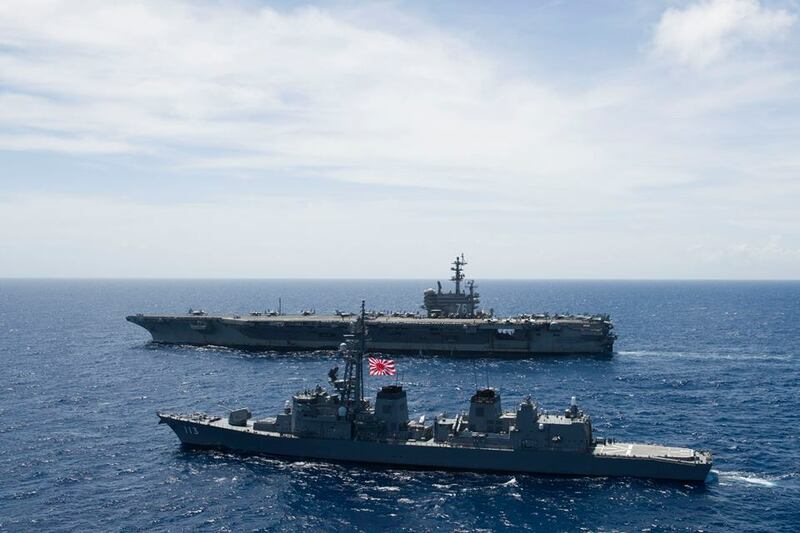 US Ronald Reagan and JS Ise along with other ships from both sides have been conducting joint-training since September 11th and will continue until September 28th in the waters from the Tokyo area down to Okinawa. Two India navy ships make 5 day visit to Vietnam. Hai Phong (VNA) – Two navy ships INS SATPURA and INS KADMATT of India docked at Hai Phong Port on September 23 for a five-day trip to the northern city of Hai Phong. The two vessels, with total 65 officers and 580 crew members on board, are led by Colonel Rahul Shankar. The visit is being made on the occasion of the 45th anniversary of Vietnam-India diplomatic ties and the 10th anniversary of their strategic partnership. It aims to bolster cooperation, friendship, mutual understanding and trust between the two countries’ armies and navies. During the visit, the guests are scheduled to pay courtesy visits to the municipal People’s Committee and the High Command of Vietnam People’s Navy. 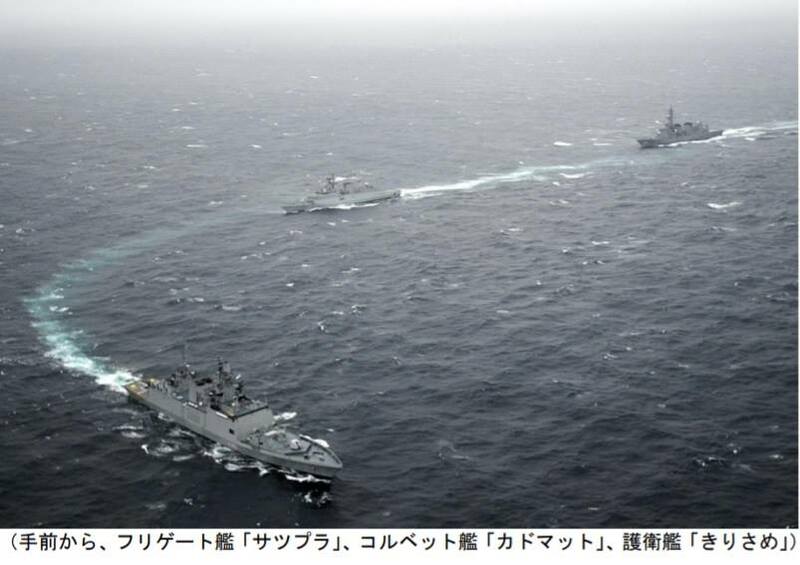 JMSDF conducted joint-training in anti-submarine warfare with the US and Australia in the waters south of the Honshu main island from September 12th to September 19th. One submarine from both the US and Australia participated. 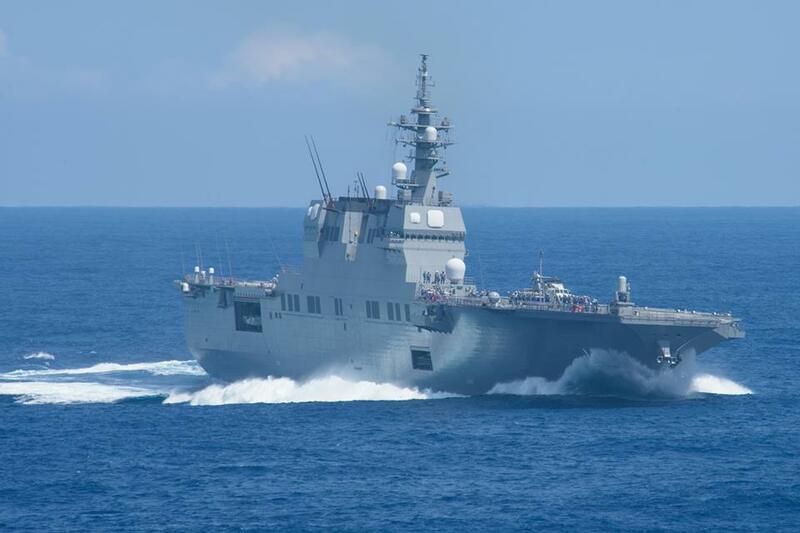 From the JMSDF were 4 submarines, 4 destroyers and about 30 patrol aircraft. FLEET ACTIVITIES YOKOSUKA, Japan (NNS) -- The Los Angeles-class attack submarine USS Key West (SSN 722) participated in the Japan Maritime Self-Defense Force (JMSDF) Tri-Lateral Submarine Competition (SUBCOMP) exercise in waters south of Japan, which also included participation by a Royal Australian Navy (RAN) submarine, from Sept. 12 to 19. 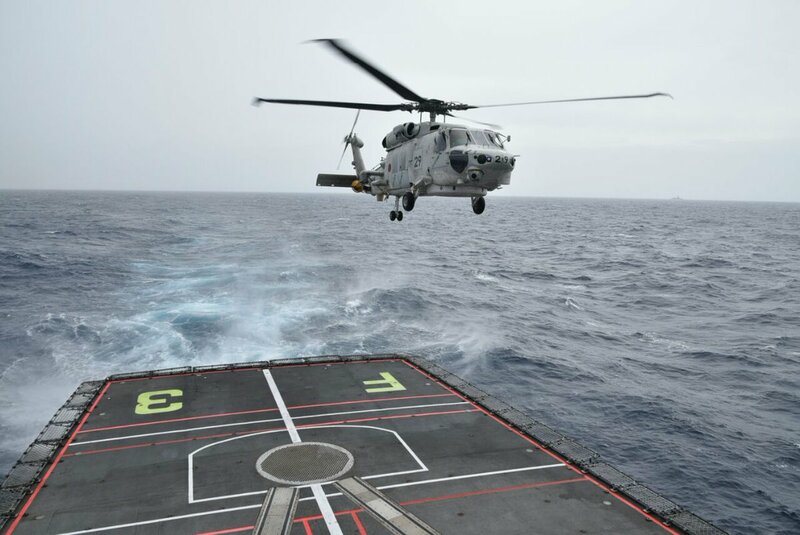 The SUBCOMP exercise provided an excellent opportunity to further the integration and tri-lateral coordination in an Anti-submarine warfare environment for the three navies. 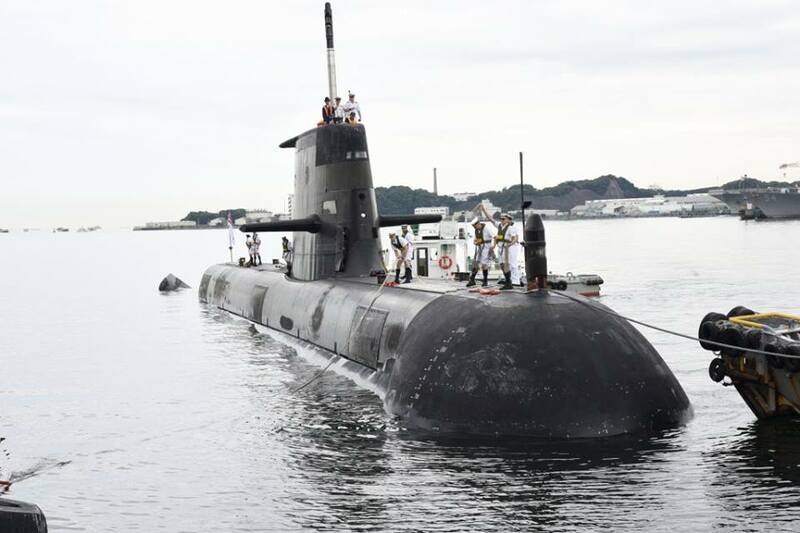 This year's SUBCOMP involved four JMSDF submarines, a RAN Collins-class submarine HMAS Dechaineux (SSG 76) and Key West. The competition stressed each crew's ability to conduct various aspects of anti-submarine warfare. The top performer is recognized with the Japanese Battle Efficiency Award. Key West's commanding officer thought his crew performed well and reflected positively on the submarine force and U.S. Navy. 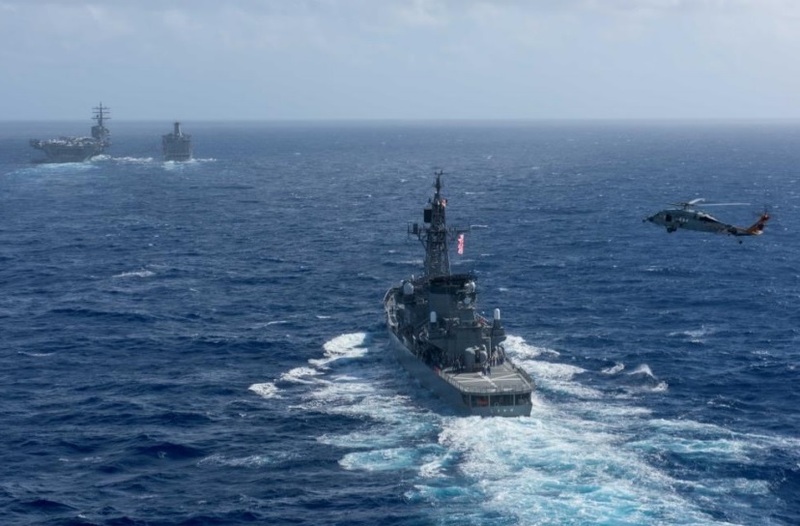 "The Key West crew found this exercise to be an excellent opportunity to plan, train and execute ASW (anti-submarine warfare) tactics while in a deployed environment," said Cmdr. Grady Hill, Key West's commanding officer. "The crew performed superbly, rising to the challenge and honing critical skills with our partners." The RAN was excited about their initial participation in the competition. "We're honored to participate in this year's JMSDF Submarine Competition," said Cmdr. Dan Sutherland, Dechaineux's commanding officer. 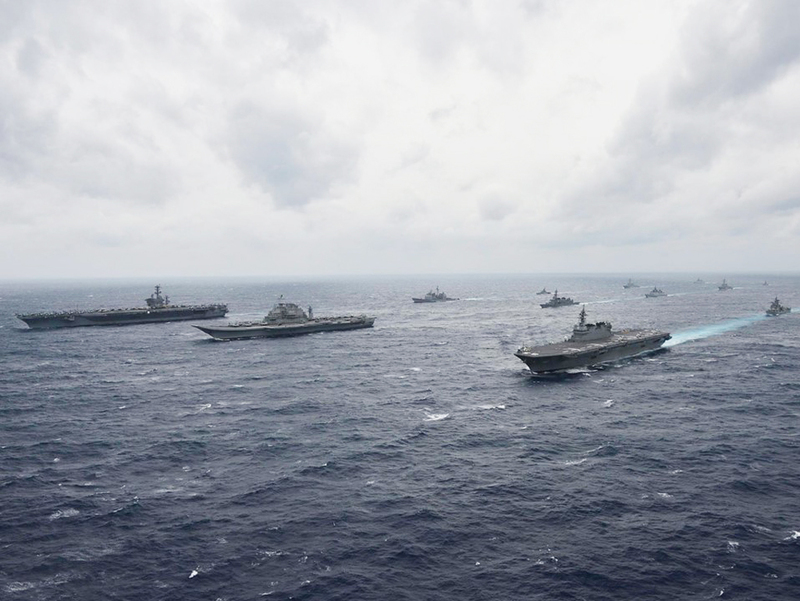 "This is our first opportunity to participate and I'm looking forward to future exercises with the JMSDF and the U.S. Navy. The JMSDF was also excited to have Dechaineux and Key West participate in the competition. "We were very pleased to have Dechaineux and Key West to participate in this year's Submarine Competition," said Cmdr. Ryu Moriyasu, JMSDF Liaison Officer. "Their involvement greatly increased our interoperability and built on a strong partnership among our forces." 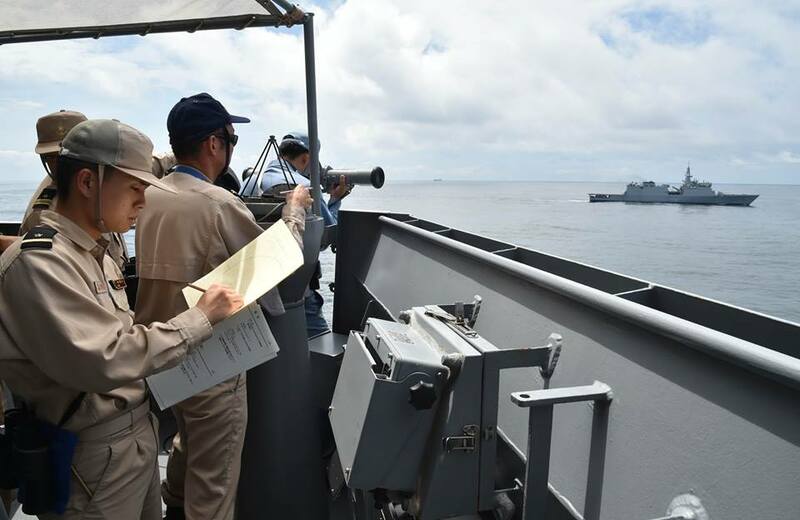 During the exercise, a JMSDF officer embarked Key West. 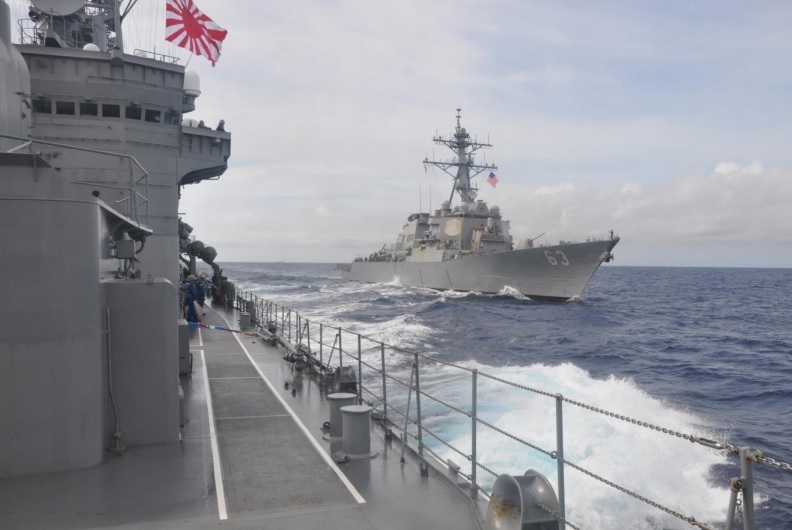 "Embarking a JMSDF officer provided valuable insight into diesel submarine operations and tactics," said Hill. "I highly recommend continuing this practice during future SUBCOMP exercises." "Our officer, who embarked the Key West, expressed gratitude and said he learned a great deal from the experience," said Moriyasu. "It gave him a much better understanding of U.S. submarine operations and will help us work together in the future." Key West is a member of Commander, Submarine Squadron (COMSUBRON) 15, which is located at Polaris Point in Apra Harbor, Guam. COMSUBRON 15 staff is responsible for providing training, material and personnel readiness support of four Los Angeles-class attack submarines stationed in Guam. 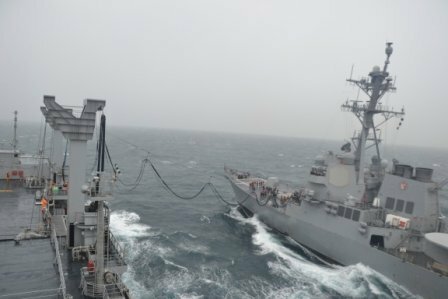 The submarines and submarine tenders USS Frank Cable (AS40) and USS Emory S. Land (AS39) are part of the U.S. Navy's forward-deployed naval force are capable of meeting global operational requirements. 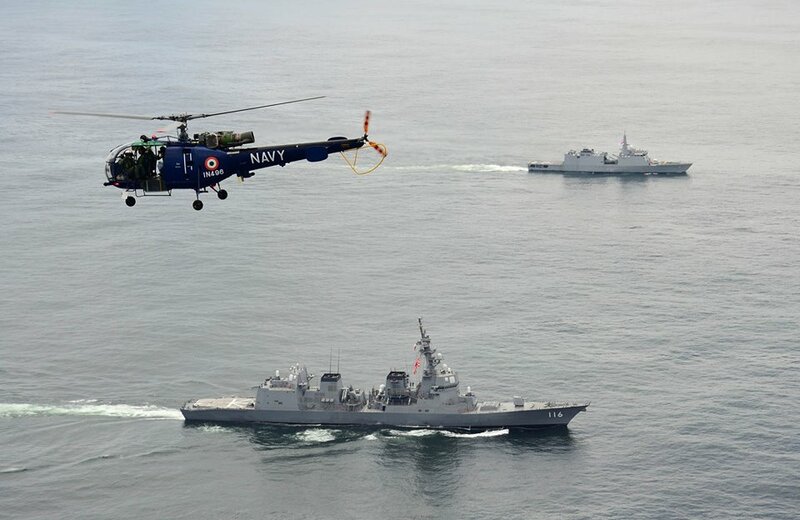 HMAS Dechaineux prior the exercise Japan. 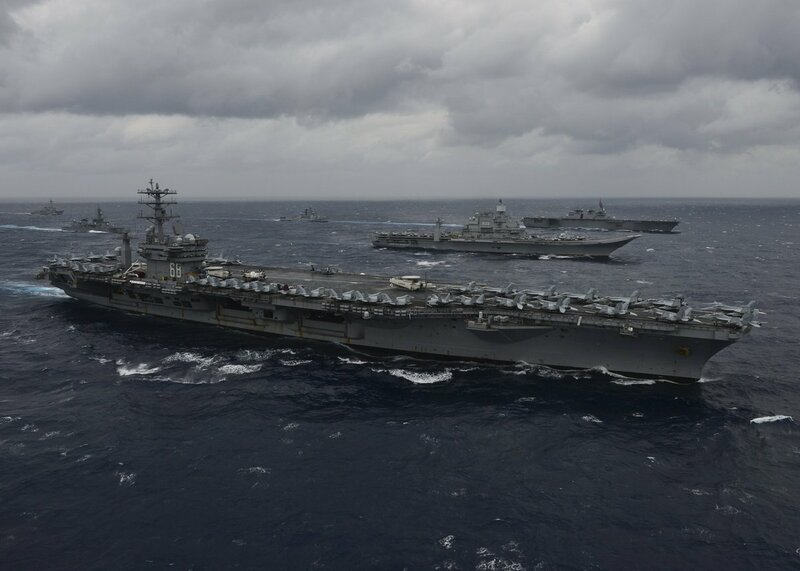 USS Ronald Reagan (with other US naval ships) and JS Sazanami conducted various joint-training from September 29th to October 1st from the waters around Okinawa to the waters around Bashi Channel. MANILA -- In collaboration with the Armed Forces of the Philippines, 3D Marine Expeditionary Brigade will participate in the inaugural Exercise KAMANDAG from Oct. 2-11, 2017, at multiple locations on the island of Luzon, Philippines. The purpose of this Philippines-led military exercise is to conduct bilateral exchanges between Philippine and U.S. forces. Exercise training will enhance cooperation and interoperability between the Philippines and the U.S., consistent with the Mutual Defense Treaty and Visiting Forces Agreement, as we continue our commitment to share information and provide support to each other throughout a range of military operations. KAMANDAG will enable military-to-military exchanges between the Armed Forces of the Philippines and U.S. forces, with a focus on enhancing counterterrorism capabilities, humanitarian assistance and disaster relief capabilities, and conducting humanitarian and civic assistance projects. 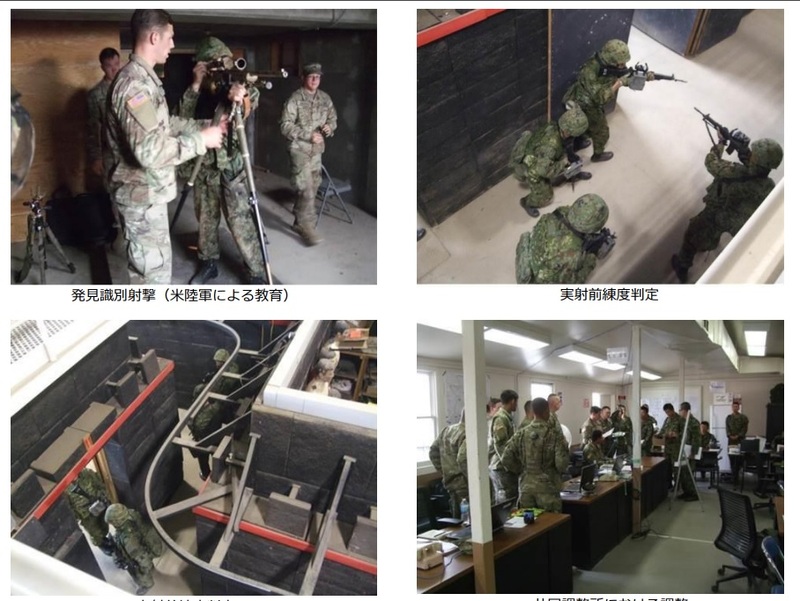 Military service members from both countries will work together during combined events in order to develop improved techniques and procedures, enabling them to learn and grow both through tactics and personal relationships. KAMANDAG is an acronym for the Filipino phrase “Kaagapay Ng Mga Mandirigma Ng Dagat,” which translates to “Cooperation of Warriors of the Sea,” highlighting the partnership between the Philippine and United States militaries. KAMANDAG will increase overall U.S. and Philippine readiness, improve combined responsiveness to crises in the Indo-Asia-Pacific region, and further reinforce our decades-long partnership. The Armed Forces of the Philippines and U.S. forces began preparing for KAMANDAG with a groundbreaking ceremony for humanitarian and civic assistance projects in Casiguran, Aurora, Philippines Sept. 15, 2017. 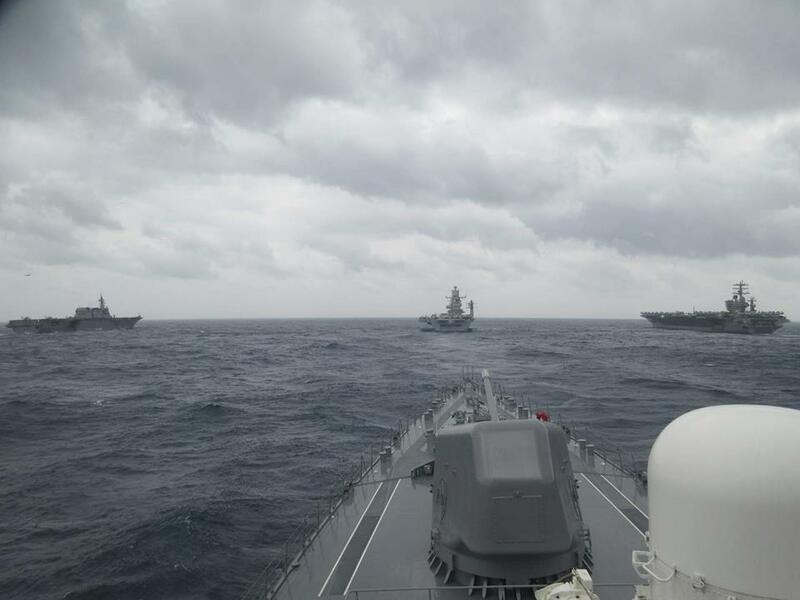 Two Indian naval ships, INS Satpura and INS Kamatt, are on a 3 month long mission as part of their "Act East" policy. They will stay in Japan from October 12th to October 15th and will train with JS Kirisame on October 15th. Visakhapatnam: In pursuance of the ‘Act East’ policy, two Indian Naval ships proceeded on Friday on deployment to east and southeast Asia. INS Satpura and INS Kadmatt will make ports of call in Singapore, Indo-nesia, Malaysia, Thailand, Vietnam, Cambodia, the Philippines, South Korea, Japan, Brunei and Russia. The two ships will be deployed for more than three months away from home. The ships will participate in the International Fleet Review hosted by the Association of South East Asian Countries (Asean) at Thailand. In Singapore, Vietnam, the Philippines, Cambodia and Brunei the ships will commemorate the 25th anniversary of India-Asean dialogue. 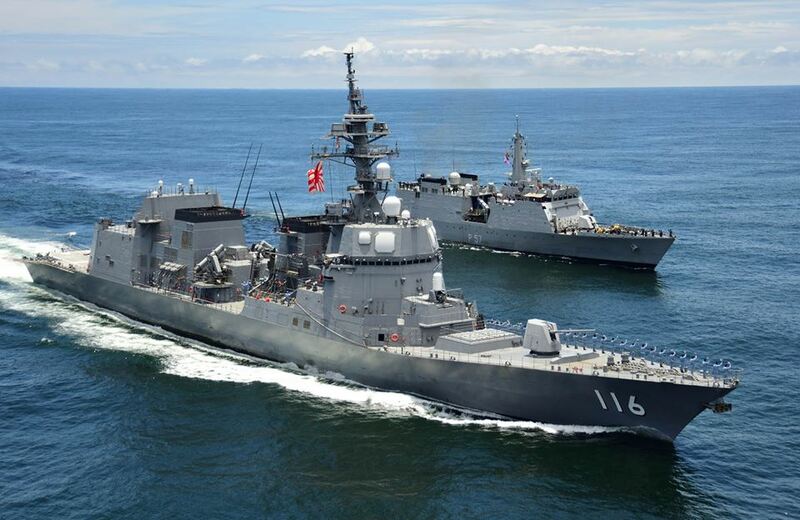 The ships will also participate in the Humanitarian Assistance and Disaster Relief (HADR) exercise at Malaysia. 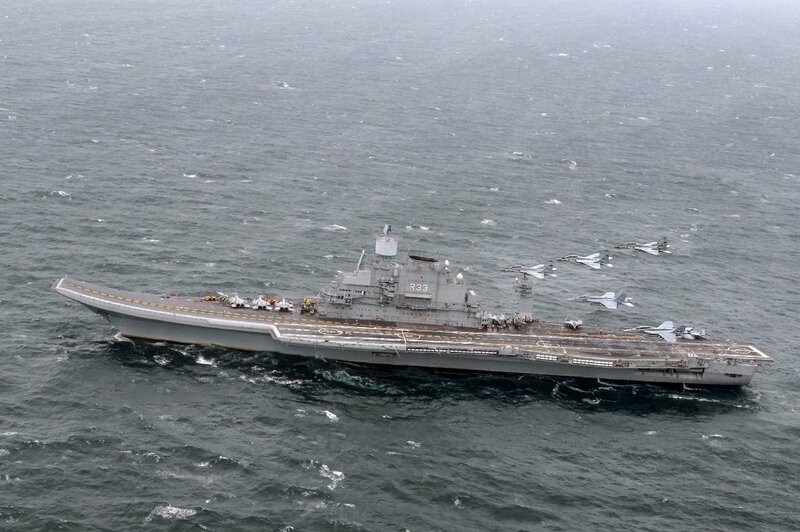 In Russia, the ships will participate in the annual India-Russia bilateral exercise Indra This year, for the first time, Ex. 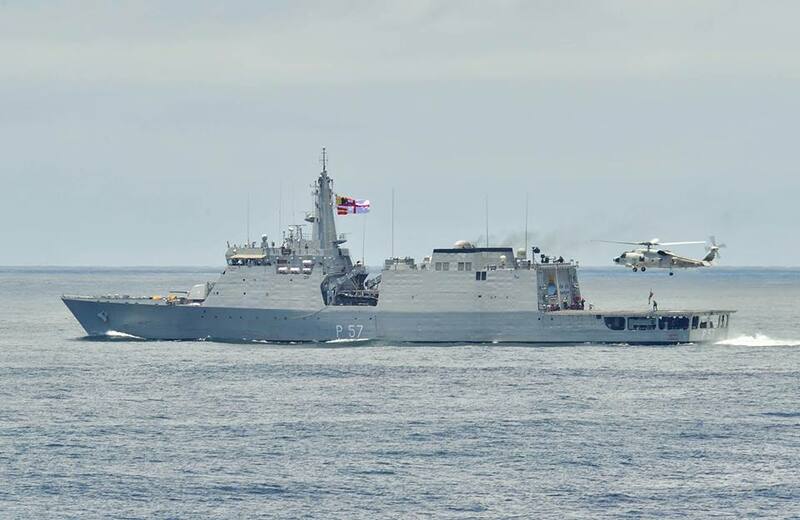 Indra will witness the joint participation of Army, Navy and Air Force of both countries. 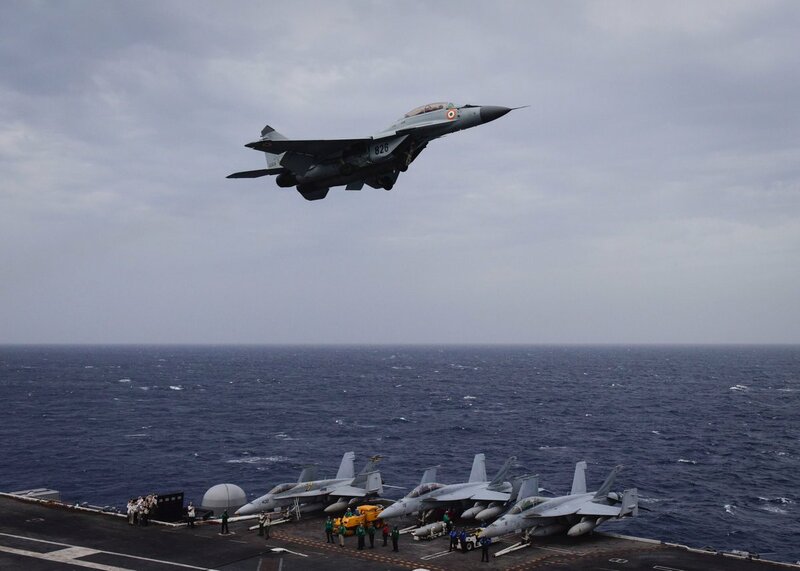 The Navy said the visit of the ships underscores India’s peaceful presence and harmonious relations with the countries in the region. Besides making port calls, the visit of ships will help in people-to-people interactions, meetings between Indian naval delegations with local dignitaries, and naval exercises to share best practices at sea and enhance interoperability. INS Satpura and INS Kadmatt are both indigenously built warships. The Satpura, named after the mountain range in Central India, is a multi-role stealth frigate and is commanded by Captain Rahul Shankar. The Kadmatt, named after an island in the Lakshadweep chain, is an anti-submarine corvette and is commanded by Commander Nithin Cariappa. 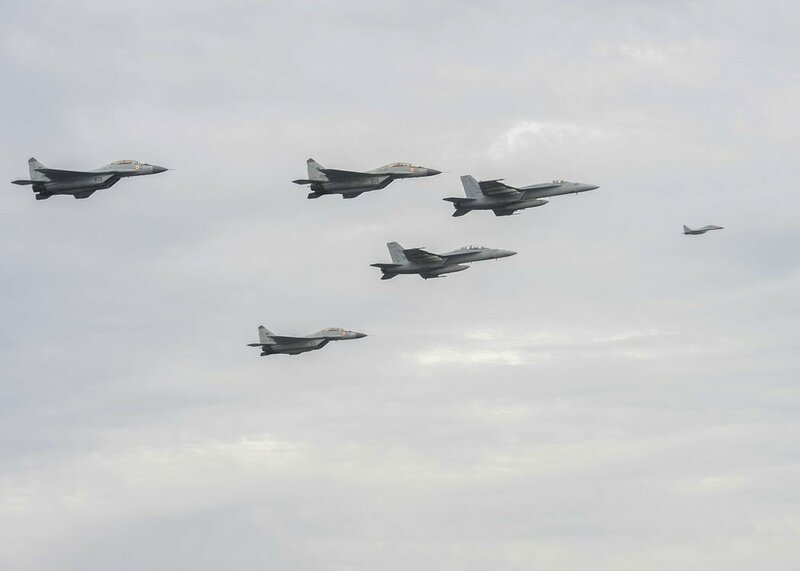 2 B-1Bs and 2 F-15Js flew together through Kyushu water airspace. 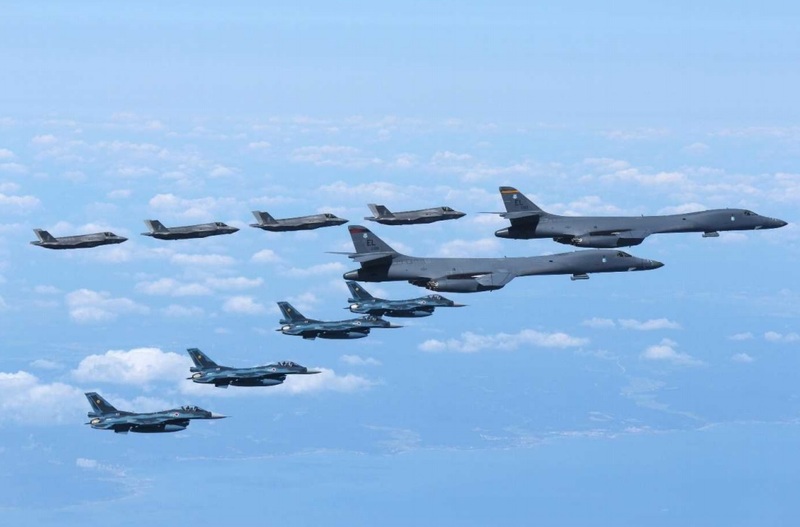 The B-1Bs continued to the Korean Peninsula and trained with the ROK there. 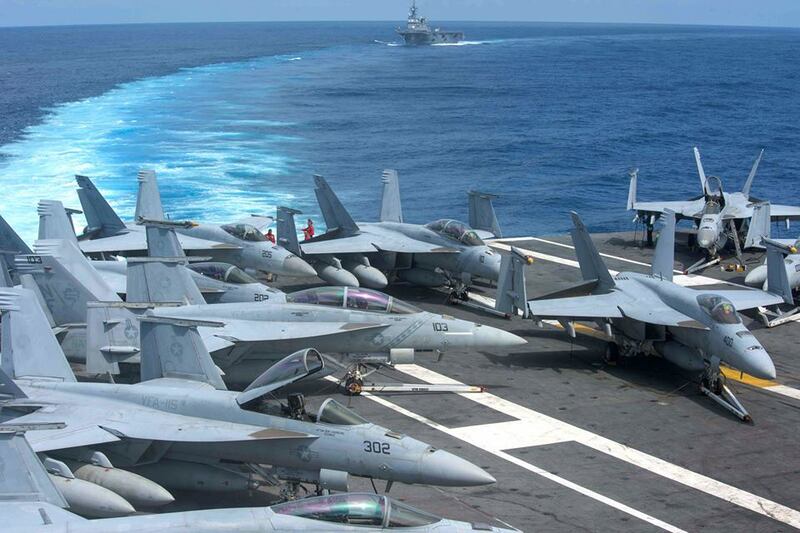 USS Ronald Reagan started training with JS Shimakaze on October 7th. Picture is on October 9th. The training area is from the waters around the Bashi Channel to the waters around Okinawa. 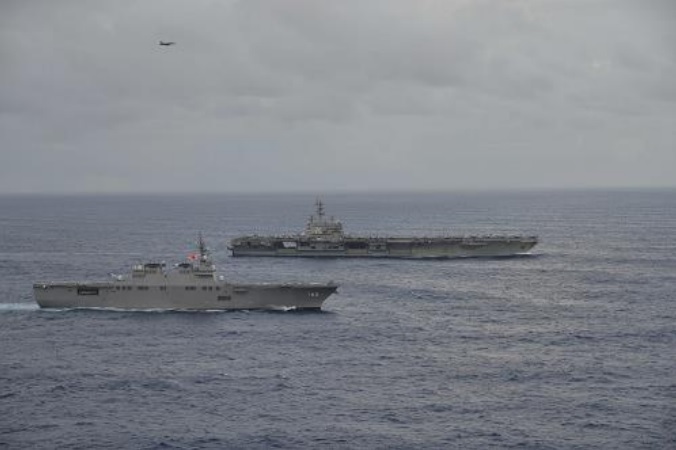 JS Shimakaze finished the joint patrol training with the USS Ronald Reagan strike group on October 16th that took place in the waters around Okinawa through to Bashi Channel. As stated in the post above, it started on October 7th. The Burke in the picture below is USS Stethem. 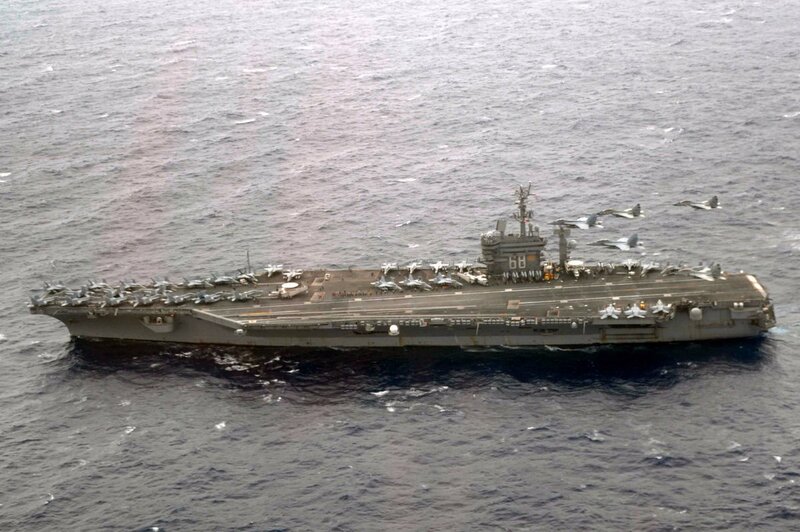 Worth noting that shortly afterwards, the USS Ronald Reagan group went straight to the Korean Peninsula and has just started training there with the ROKN. 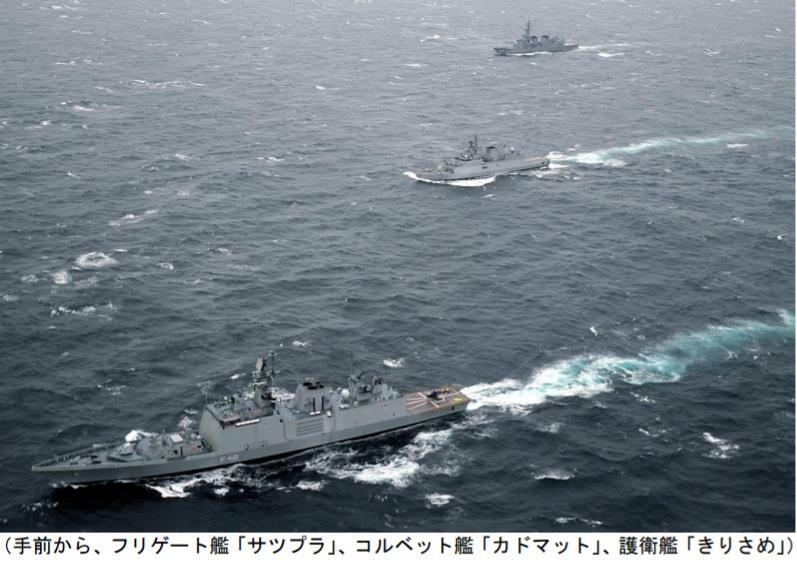 The joint training between JS Kirisame, INS Satpura, and INS Kamatt on October 15th in Kyushu western waters. Edited by JasonJ, 16 October 2017 - 0836 AM. The panel discussion was in late July, so a little old relative to some of the fast developing issues, but it touches on the geo-economics and the US-Japan alliance, in that, economics continues to be used as a tool for diplomacy and in trying to influence other countries. So economic cooperation is seen as necessary to ensure the effectiveness of the alliance. Some other points about the evolution of the alliance. Such as, n the past, Japan was like a rear base for US operations, but now Japan is seen more and more as on the front-line, and not only does having US forces deployed in Japan enable to the US to respond more quickly, it also enables immediate interaction with Japanese forces to be possible, so in other words, it is very easy for both forces to train together, whereas if the US was not deployed in Japan, then both sides wouldn't be able to train together often because of time and cost in having to go a long distance before training.